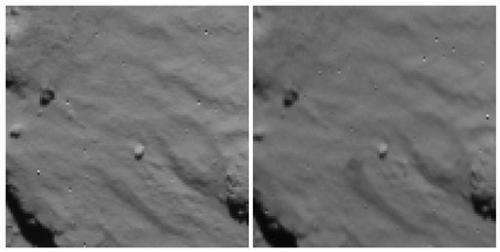 The European Space Agency says that its scientists are taking a bit of a break after working for four days around the clock since the pioneering lander Philae touched down on a comet. ESA spokeswoman Jocelyn Landeau-Constantin told The Associated Press that most of the agency's scientific teams were resting Sunday "after several sleepless nights." Nonetheless, some scientists were still busy evaluating the data that Philae sent down to ESA on Saturday before its depleted batteries forced it to go silent. Philae landed Wednesday on comet 67P/Churyumov-Gerasimenko about 311 million miles (500 million kilometers) from Earth, but then settled next to a cliff that largely blocked sunlight from reaching its solar panels. Landeau-Constantin says scientists are studying the data to see if their experiments on the comet were successful.